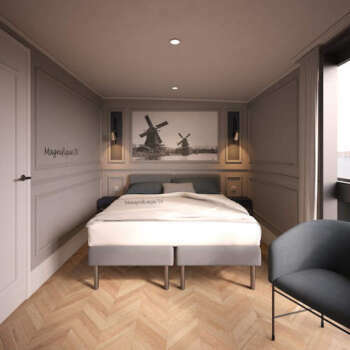 Experience the charm of a bygone era on this exciting 8 day, 7 night tour where you will discover the best of what Holland and Belgium has to offer. 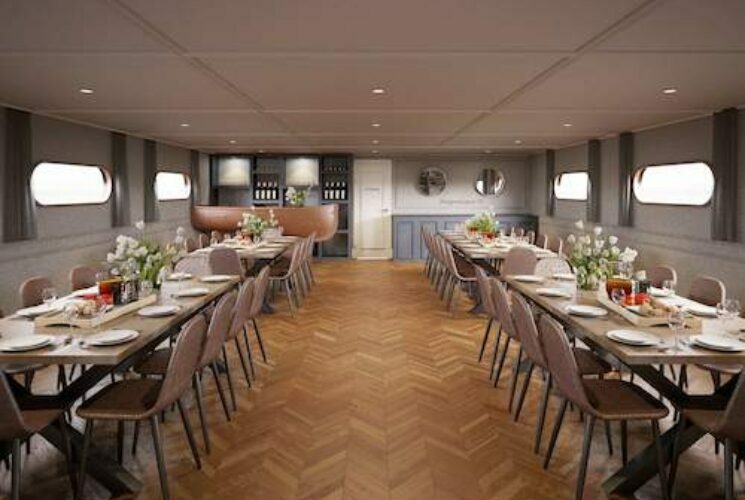 In addition to the bar and lounge area, the upper deck houses 10 generous suites, while the lower deck houses eight twin cabins and the dining room. The spacious suites, each measuring 16 m² (172 ft²), have double beds, a cozy sitting area, and French balcony with floor-to-ceiling glass doors. The twin cabins below deck, measuring 12 m² (129 ft²) feature two single beds and fixed portholes. All cabins have their own private bathroom with shower, basin and toilet; as well as individually-regulated air-conditioning, flat screen satellite TV, mini safe and hair dryer. The Magnifique IV’s upper deck features a spacious and tastefully-decorated salon with bar and lounge area. Here you will find large panoramic windows, a widescreen TV, and information screens displaying the barge’s real-time location. Wi-Fi is also available. The comfortable and inviting restaurant is separated from the kitchen by a glass wall, so you can see our talented chefs in action. Large glass doors open onto a beautiful partially-covered teak sundeck, furnished with tables and chairs. The front deck has space to accommodate bicycles, while the top deck boasts a hot tub and deckchairs, from which you can enjoy the scenery. The Magnifique II and IV tours start and end on WEDNESDAY and the tours with the Magnifique I and III start and end on SATURDAY. Embarkation time in Bruges is between 1 p.m. and 2 p.m. The ship awaits you in the Bruges harbor. After a welcome meeting with the crew at 2 PM there is time for bicycle fitting and a short test-ride through the countryside around Bruges. After dinner the guide will take you for a short walk through the center of town. You will start your first day of cycling by pedaling towards Ghent through the beautiful Flemish landscape along the Ghent canal. On arrival in Ghent make sure you make the effort to discover the best of what this historical city has to offer during an afternoon stroll. Ghent’s medieval center features lovely illuminated streets that are a must to explore, while the architectural richness in the center of the city has to be seen to be believed. 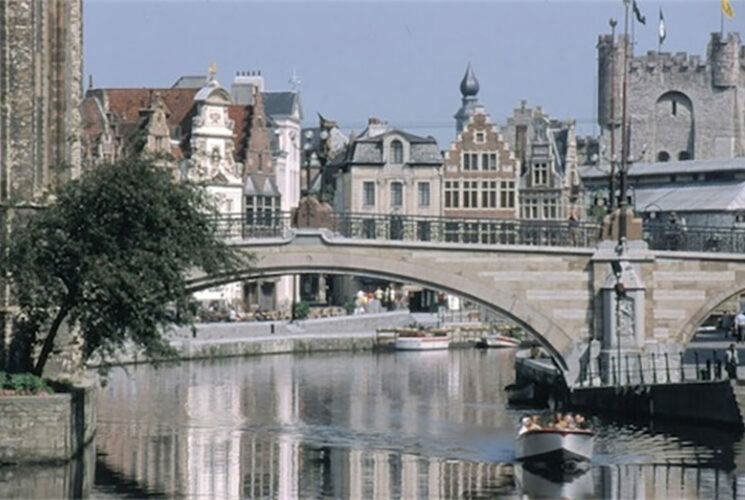 During the Middle Ages Ghent was the 2nd largest European city, after Paris. The ship will dock for the night at a lock, in a suburb of Ghent and approx. 30 cycling minutes from the city center. After breakfast in Ghent you will cycle downstream through a diverse landscape along the tidal Schelde River to Dendermonde located at the confluence of Dender and Schelde rivers. There is only one way to describe the landscape along the Schelde and that is: “magnificent”. It is without doubt one of the natural highlights of the tour. During this section of the Schelde the speed of the ship will be determined by the height of the tide. You will travel from Dendermonde to St. Amands by either bicycle or barge depending on the tides. Your floating hotel will be docked for the night in St. Amands. Today we will follow the Schelde river further downstream through the Temse region to Antwerp. Over the centuries the Schelde river has held strategic importance for the Romans, Vikings, Spanish and Napoleon… Today it is a beautiful waterway just perfect for bike and barge holidays! Antwerp, your destination for the day, is a harbor city famous for handling up to 80% of the world’s rough diamonds and as the birthplace of the famous painter Sir Peter Paul Rubens. 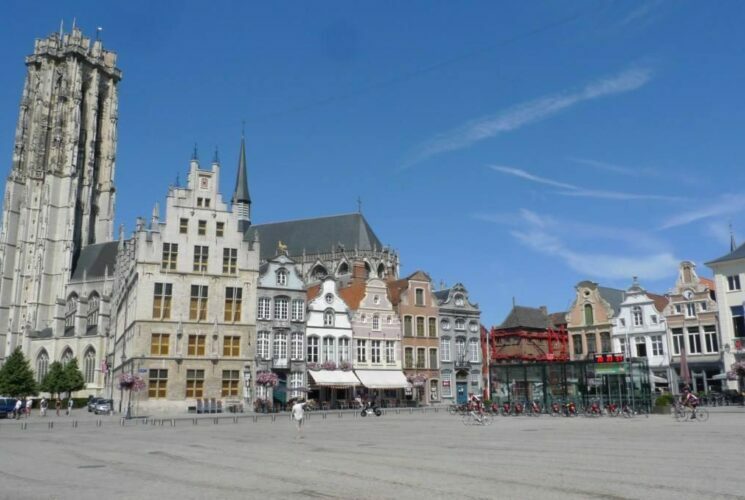 There are many highlights in the city to discover including: the City Hall, one of several majestic buildings constructed during the Renaissance period, the historical City Square Grote Market, the Onze-Lieve-Vrouwe Cathedral and the medieval Steen Castle. Dinner will be in town in a restaurant of your choice (recommendations available on board). This morning, the ship will sail along the Schelde-Rhine Canal and over the huge Kreekrak lock system. Here your bicycle tour starts through the beautiful “Wouwse Plantage” forest to Tholen, Tholen once was an island in the middle of the large Zeeland streams, where many people fished for their living. Nowadays Tholen is connected to the mainland in various ways. But it is still a picturesque village with many relics of an eventful past. From Tholen you will join the ship again for a nice afternoon sail to the city of Dordrecht. Halfway the ship will pass the impressive Volkerak lock system. Dordrecht, one of the oldest cities in the Netherlands is your destination for the day. 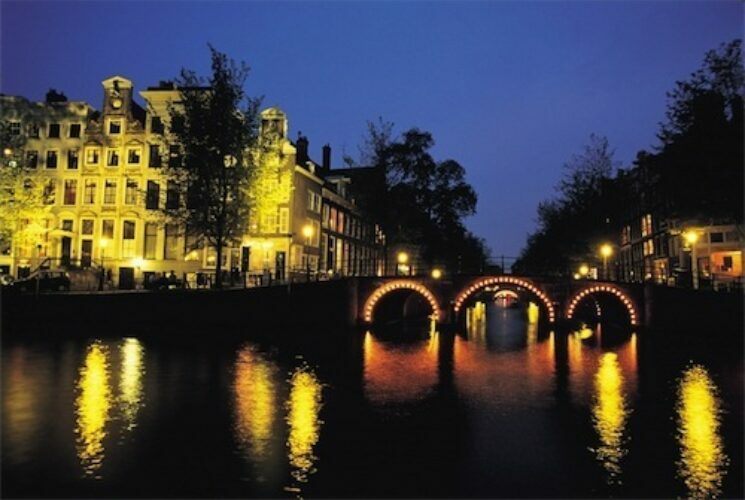 The guide will take you for an evening walk and tell you about the history of the Netherlands. Today you will start your tour with the “Waterbus”, a fast ferry that will take you and your bicycle in just 10 minutes to Alblasserdam. After just a few minutes of cycling you will reach Kinderdijk, a village famous for its impressive row of 19 UNESCO cultural heritage-listed windmills – one of which you can visit (don’t forget your camera!). The windmills were constructed in the 18th century to pump water out of the low Alblasserwaard polder (a polder is a low-lying tract of land enclosed by embankments). You will then continue to cycle via Schoonhoven to Vianen, a small fortified town on the river Lek (Lower Rhine), where you will stay for the night and where you can explore at your leisure after dinner. During breakfast the ship will cruise to Breukelen where you disembark to start your final day of cycling. Ride along the Vecht River in an area famous for its beautiful mansions, small castles, impressive houses and their large gardens. After cycling through the villages of Nieuwersluis, Loenen and Vreeland you will arrive at Nigtevecht where you can visit a traditional cheese farm. Continue cycling through the historical town of Muiden and on to Amsterdam where you will meet the barge for the final time in the Amsterdam harbor. All distances are “approximate distances” of recommended bike tours. The tour details are barring changes, a.o. as a result of nautical, technical or meteorological reasons. On this Tour with more than 22 guests the daily cycling tours will be accompanied by 2 knowledgeable and multi-lingual tour leaders (not on Zwaantje). On most days the tour leaders will offer a long and a short (or a quicker and a more relaxed) bicycle option. Transfer between Amsterdam and Bruges: There is a good train connection between these two cities. Please visit one of the following websites for timetables, tickets or more information www.goeuro.co.uk or www.trainline.eu.